Grants awarded in the 2015-16 financial year. Kirktonhill Tennis Club - awarded £350 to assist with the purchase of club equipment suitable for children and to hold indoor winter coaching for juniors. 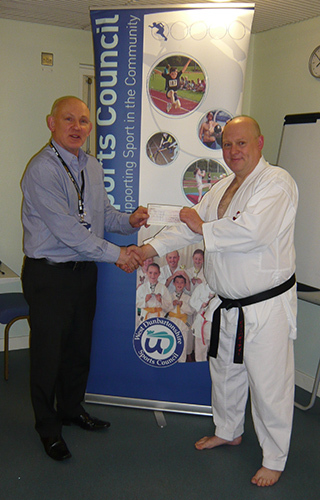 Kokusai Karate Club - awarded £250 to assist with the cost for club coach Billy Haggarty to obtain his international referee's qualification at the European Karate Chps. Talented Sports Performers Grants awarded in the 2015-16 financial year. Billy Davidson - awarded £200 towards competition and training expenditure including representing Scotland at the Six Nations Competition.